It’s fitting that Jorge Otero-Pailos should unveil a work which cleans the grime from the heart of the Houses of Parliament just as dirt is being slung with abandon by politicians all around. Otero-Pailos is an artist but he’s also in charge of a programme in historic preservation at Columbia University. 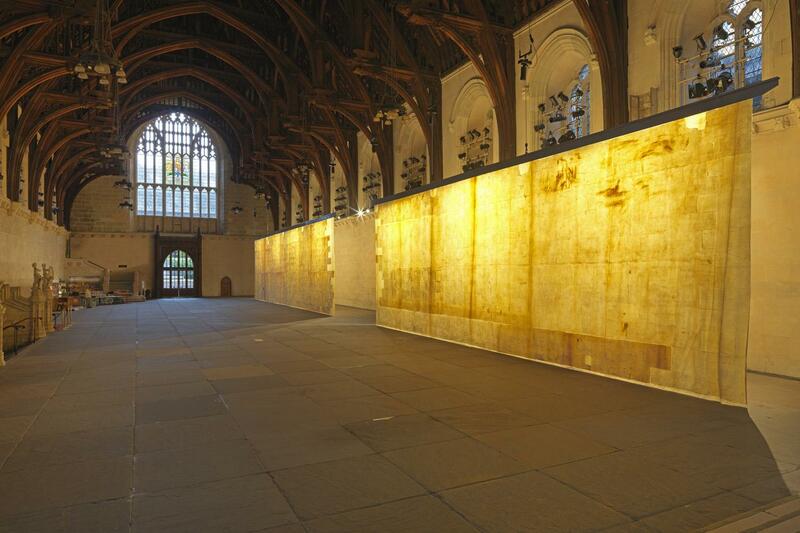 He and the visionary art producers Artangel have worked with the Parliamentary Estate to clean Westminster Hall’s walls. The cloth and latex used to remove this historic dust and soot form two casts of the hall’s east wall, both six metres high, which together stretch for 50 metres.